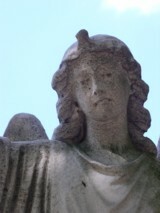 All Saints Cemetery & Resurrection Cemetery now have a Family Service Counselor on-call...no longer on premises. So, please contact the All Saints Office (262-694-2040) or the Resurrection Office (262-242-3850) to initiate service for all requests and needs. On Thanksgiving Day, Christmas Day and New Year's Day, we are closed. There is no access to Interior Mausoleum, Family Service Counselor or Business Office. Please click here for individual cemetery addresses, phone & fax numbers and driving directions.